By now I'm sure you know... Pat Sloan and Jane Davidson are running the biggest star-studded quilt-along ever and it's called The Splendid Sampler. They invited 82 friends to help design -- There are 100 blocks -- Two block patterns are released each week -- They're all free until next year (Feb 2017) when they'll be put together in a book -- And the coolest part? 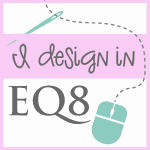 Pat and Jane asked me to join the design team and today's my day to show you my block! based on my love then a nature stitchery just had to be created. flowers are of course there for them to drink the nectar. 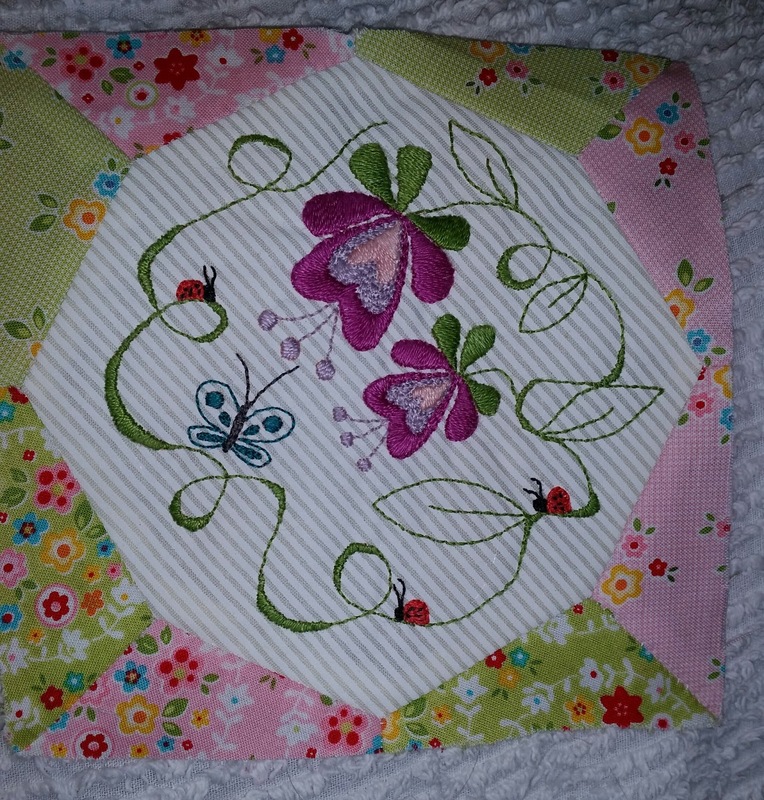 Such a sweet and pretty embroidery block, right? Use the back-stitch, satin-stitch, or whatever you like. then only the one strand. 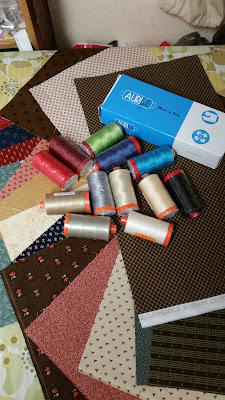 I love using Aurifil threads and they are my most favourite to use. using bright fabrics. To give you an idea that any colour is perfect. 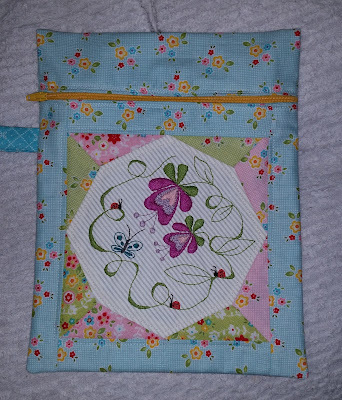 Love these pouches as they are so handy for lots of things. 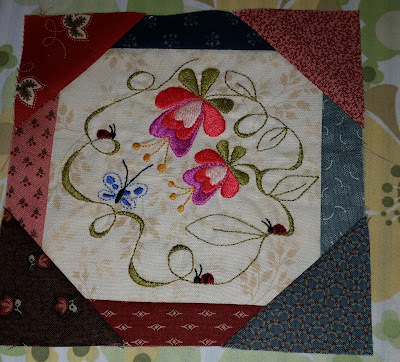 You can get the free pattern for the embroidered quilt block on the Splendid Sampler homepage by clicking the link below. So first, go download the pattern at the Splendid Sampler by clicking here. I encourage you to have fun with this pattern and enjoy making it "your own". (I love seeing what people are doing with the "quilt".) Happy stitching! See you along The Splendid Sampler! 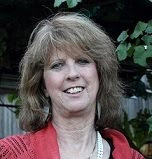 I haven't made this one yet, Vicki, I'm a bit behind with them. I love the addition of embroidery and think your block is beautiful! Thank you so much Vicki for being part of our Splendid Sampler, I really am in awe of your beautiful work!! Big Hugs!! I was wondering if it would be ok to suggest the layout of Nature's Walk for our new community garden sign in my little town of Willits. I think this design would be so beautiful and representative of nature. 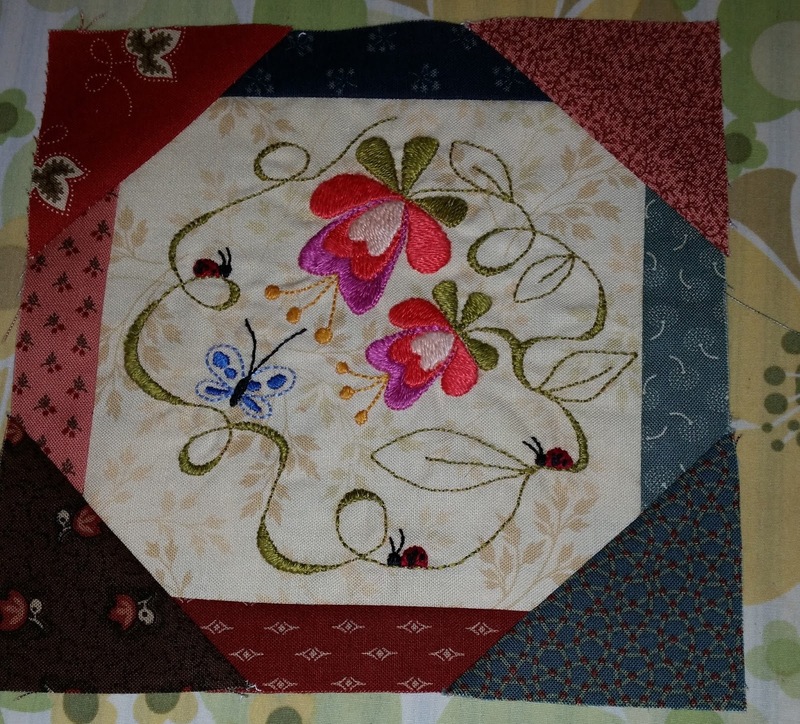 Your block is lovely Vicki, heading off to find those Aurifil threads! 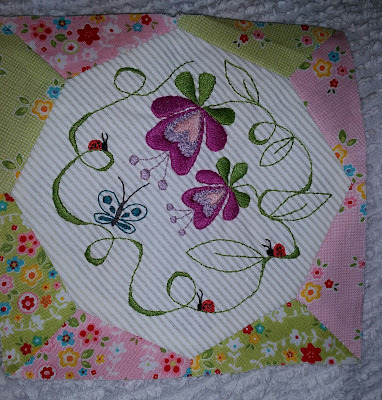 Vicki, this is such a pretty block! Your stitching is beautifully done.